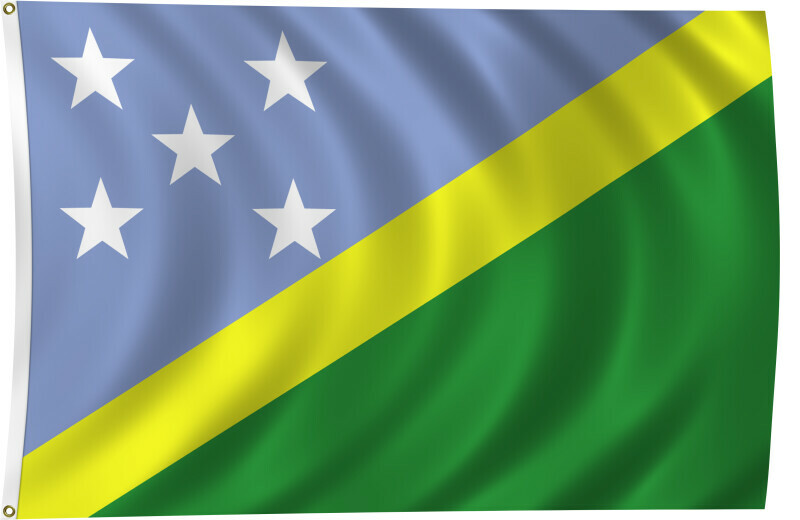 Color flag of Solomon Islands. Divided diagonally by a thin yellow stripe from the lower hoist-side corner; the upper triangle (hoist side) is blue with five white five-pointed stars arranged in an X pattern; the lower triangle is green. Flat color and black/white versions of world flags are available on the Clipart ETC website.